It's September now, which means it's almost fall, which means everyone is mostly over talking about summer style. I wouldn't say I'm in the boat of being "over" summer style, but I am trying to mentally transition myself to cooler temps and more covered-up looks. I wanted to pull together some recent outfits that highlight some of the pieces that make transitioning into another season easier for me, even if I'm not quite ready for it. 1. Layering accessories: specifically necklaces. I don't feel bad buying necklaces at any time of the year because I can wear them year round, vs. buying cut off shorts right now that I may not be able to wear for much longer. And if you buy necklaces with layering in mind, you can continue to create new looks with your "old" summer pieces by mixing and matching necklaces. 3. All the booties! You should know that my Nordstrom anniversary sale booties have been restocked in all sizes here! Because of work travel, I do end up wearing my booties year round because they're the most manageable footwear when I'm on the go. But if you saw yesterday's post, you can see I'm fully embracing booties regardless. 4. The classic pump: If you just can't get yourself to do booties yet, then just revamp your pump collection! The "Kain" style is perfectly comfy! The shape isn't super super pointy, the heel height isn't sky high, and it's at an affordable price point. Also, please don't stop wearing your white pumps after Labor Day! I for one, will not! This Charles David version is a good alternative to my Kains! 5. Perfectly destroyed skinnies: OK, let's be real. I love them year round. I've even worn them in the dead of winter a few times because I'm not scurred. Of all the pairs I own, I think these get me the most compliments. They're also my favorite just because the fit is so freaking perfect. And even though they are classified as "cropped," the length is perfect on my 5'-2" self. 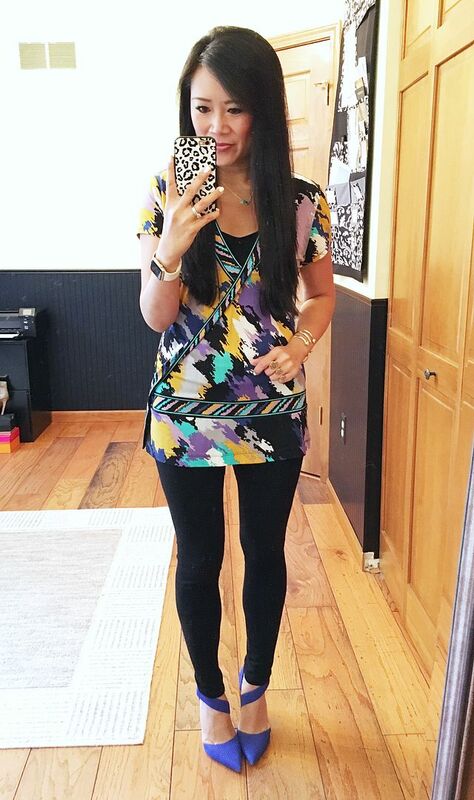 Print top: BCBG (old) | Leggings: Express | Pumps: Vince Camuto "Carlotte"
6. 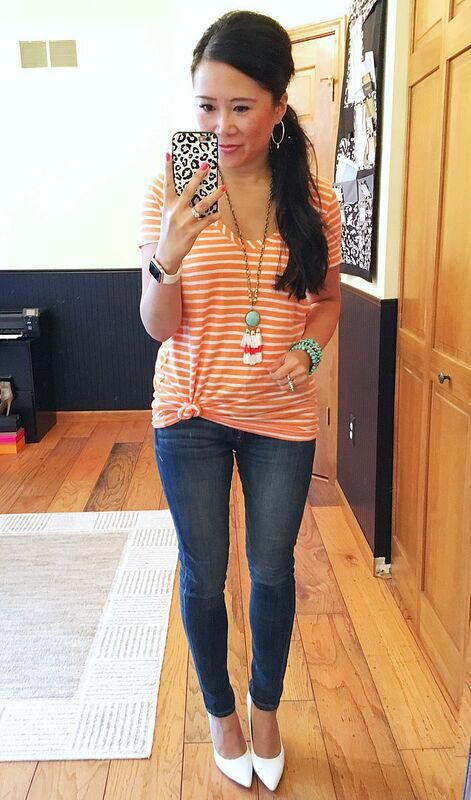 Dust off your favorites: True story, I've had this top for a long time. I can't even remember when I got it. It is the first recorded #caryleetopview outfit I've ever taken; 104 weeks ago to be exact. (See it here.) 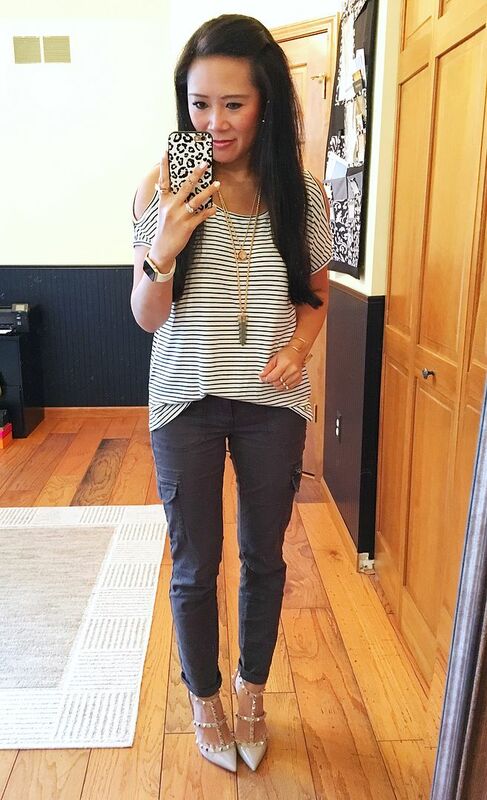 When the seasons are transitioning, I use that time to dust off old favorites because then it feels like pieces are 'new' to me again, which helps curb the urge to shop for more summer pieces that I don't need. Hopefully some of this resonates with you guys! If all else fails, just buy all the nail polish and focus on painting your nails and not the fact that your toes will soon not feel the light of day for MONTHS. Ok, that's way harsh, sorry. You could also do some online shopping and take advantage of the crazy Labor Day sales! If you need inspiration, all of my recent purchases can be seen on my "Shop with me" tab above! Have a great long weekend!!! Skinnies and heels is one ofmy favorite outfit, all of these are so cute. Love all of these looks!! 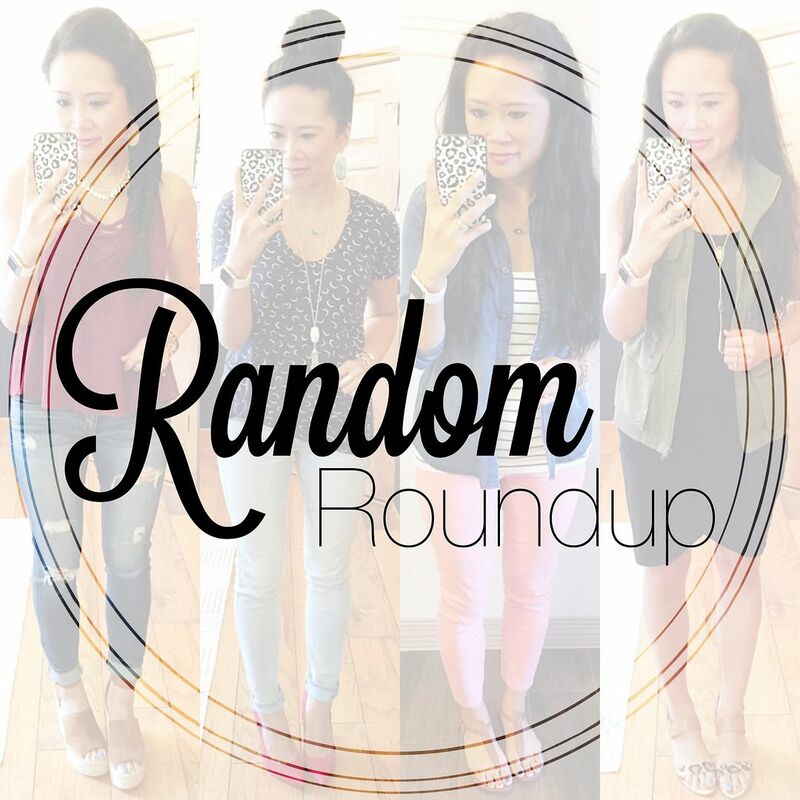 Loving all this outfit inspo! September is the toughest month for me to get dressed and also decide which pieces to purchase! Loved your suggestions and POV.